Bored of black? Want to know which colours help you look more radiant, healthy and younger (without the need for cosmetic surgery!)? Want to know which colours project confidence and can boost your personal impact at work? Ever wondered why you get compliments when you’re wearing certain clothes, but when you’re wearing others, people comment that you’re looking tired or under the weather? It can often be as simple as the colour of the clothes you are wearing. Full Colour Consultation – £130 – a one-to-one, two-hour colour consultation to discover your full palette of 42 colours. As well as learning about your best neutral and accent colours and how to combine them, you’ll enjoy a makeover in your most flattering make-up shades to make you look and feel amazing. You’ll receive your 42-colour swatch wallet to take away with you. Mother & Daughter Colour Consultation – £120 each – a three-and-a-half-hour consultation where you can enjoy some special time together whilst learning about the full palette of 42 colours that suit each of you best. You will each receive your colour swatch wallet to take away, and enjoy a makeover in the shades of make-up that flatter your natural colouring. Colour Review – £60 – a one-hour consultation for those who have had their colours analysed before and would like an update. We’ll review your colours and you’ll enjoy a complimentary makeover too. (Colour swatch wallet available to buy if a new one is required). Colour Workshop – £30 per person (or £25 per person for two or more coming together) – come along with some friends or like-minded ladies and learn about your core 30 colours in a two-hour workshop. Gather four to six of your friends together or book your place on one of the scheduled workshops that take place throughout the year. (Colour swatch wallets and books available to buy). 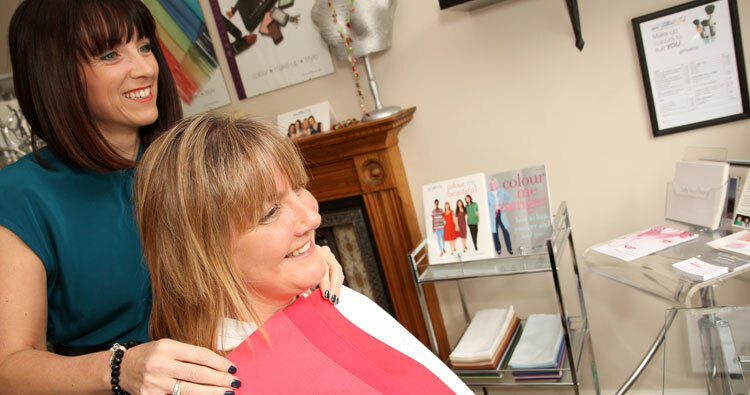 Express Colour & Style Consultation – £130 – a one-to-one, express two-hour consultation where you will learn about the key colours that suit you best, as well as styling tips to dress your shape. (Includes copy of the Colour Me Beautiful book).